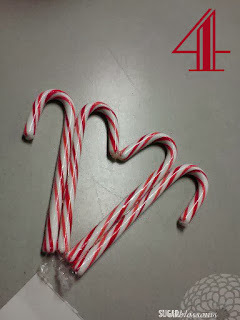 Today I'm sharing a quick and easy Christmas craft that looks fabulous! My friend Vicki introduced me to the finished product via Pinterest. The problem: no instructions! Every single picture I click on is simply a photo. So if this is your idea, thank you for sharing and please let me know so I can give you mad props for this stroke of genius! 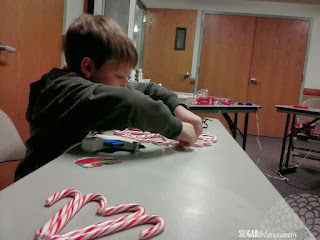 1- Gather 18 candy canes, hot glue, ribbon, and various baubles & trinkets. 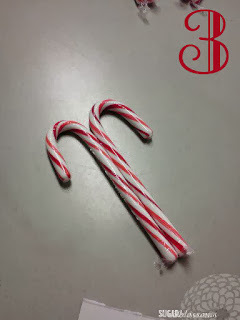 2- Put a line of hot glue down the back of a candy cane. 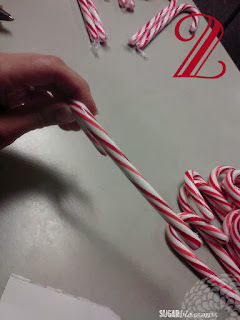 3- Put the hot glued side against the back of another candy cane. Pair up all 18 this way. 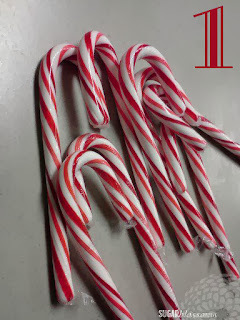 4: Glue the base and crooks of each pair to another pair. 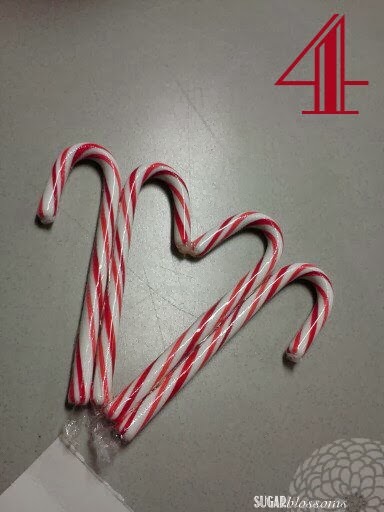 5- Continue gluing until they meet back where you started. 6- Decorate with glittery doo-dads and add a ribbon for hanging. VIOLA!! This is so simple that my 9-year-old made one all on his own. 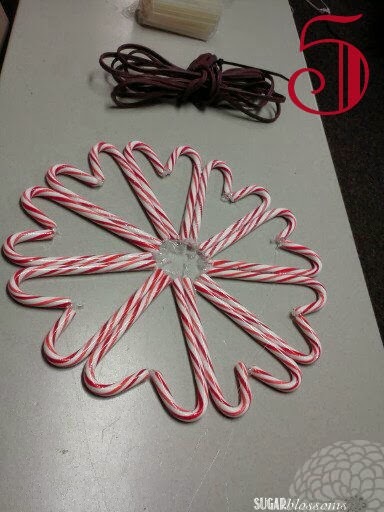 try this Frozen-inspired Snowflake Wreath. 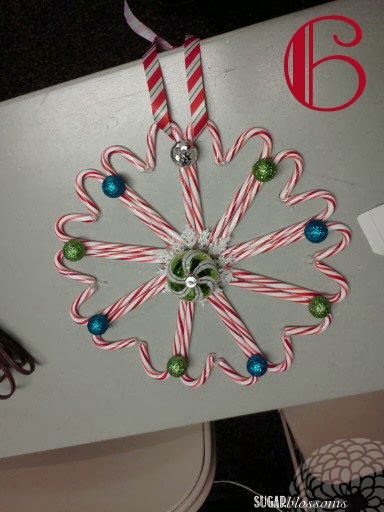 So cute and festive, TJ! This might be a really stupid question but did you unwrap the candy canes first? It looks beautiful, thanks for the instructions!